Runes of Magic has long been one of the most popular free alternatives to World of Warcraft and draws obvious inspiration from the MMORPG giant. 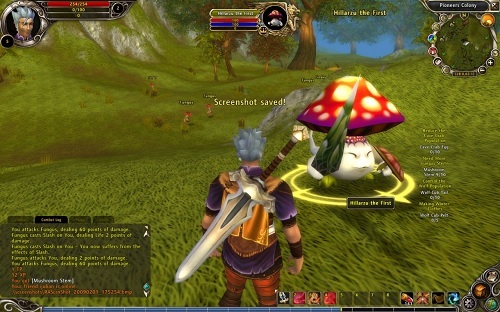 The game was released in 2009 and has one of the larger player bases in the MMO universe. After creating your account and downloading the client (fair warning it’s quite large) you’ll instantly get a World of Warcraft vibe from your surroundings which isn’t necessarily a bad thing since Runes of Magic does it so well (and it does it for a free price tag). The best sale point for Runes of Magic though is definitely the multi class system that allows players to play as two classes within a single character. This allows you to create some fun combos that really complement each other’s skill sets. Players also have access to elite skills which are based on your chosen combination. Each of your classes level up separately so it effectively means you’re doing double the levelling but thanks to the large number of quests and steady experience rate it doesn’t feel like a grind affair. There are 10 classes for players to choose from and combine together with some classes not being available to certain races. Classes are mostly standard archetypes and include knights, warriors, scouts, rogues, champions, warlocks, mages, wardens, druids and priests. Every other MMO feature you can think of is also available which really makes Runes of Magic an all-inclusive MMO. This feature list includes varied PvP options, crafting, guild battles, pets, housing and monster cards. If you are a fan of MMORPGs and sick of the World of Warcraft subscription fee it’s hard to fight the urge to play Runes of Magic. 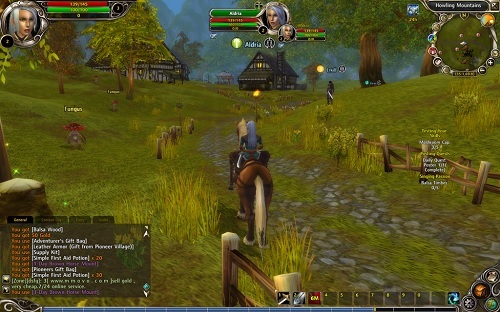 A popular free to play MMO. Multi-class system lets you play two classes at once. Participate in guild siege wars. 10 classes to choose from and combine together.